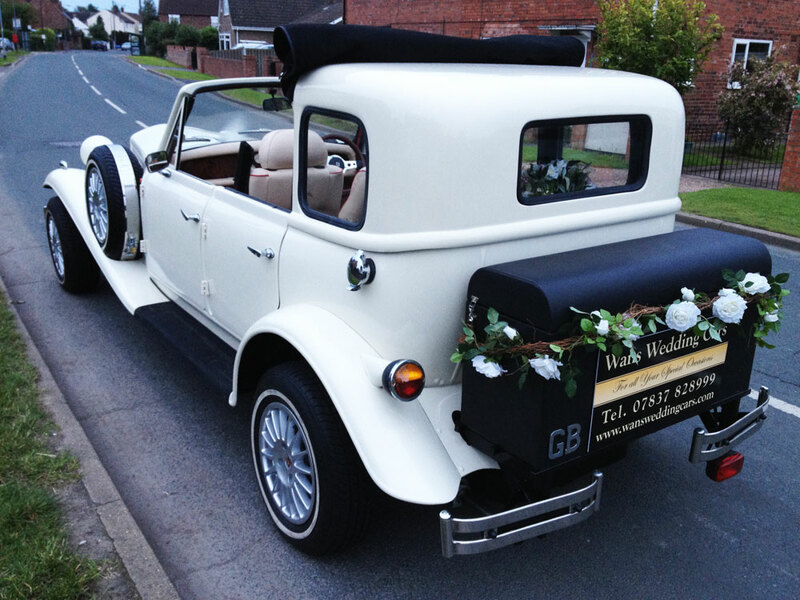 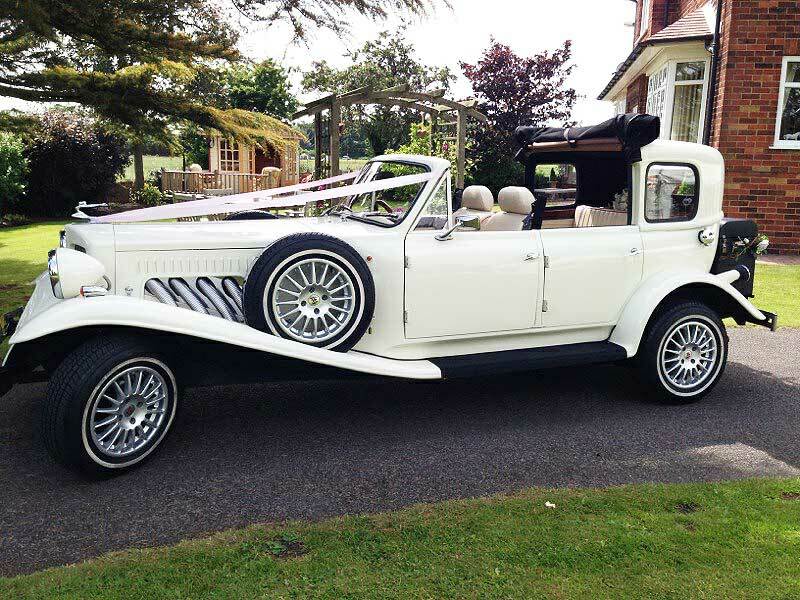 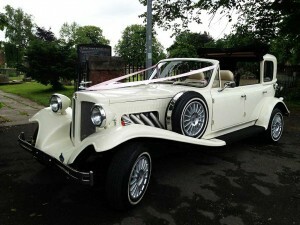 The Beauford 1930’s open top style touring car, is a vehicle which is just made for Weddings and Special Occasions. 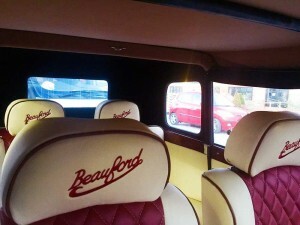 photos can never do justice to the opulence of the upholstery, with its burgundy carpets and trim. with 4 doors for easy access and a very spacious rear so the brides dress wont be crumpled. 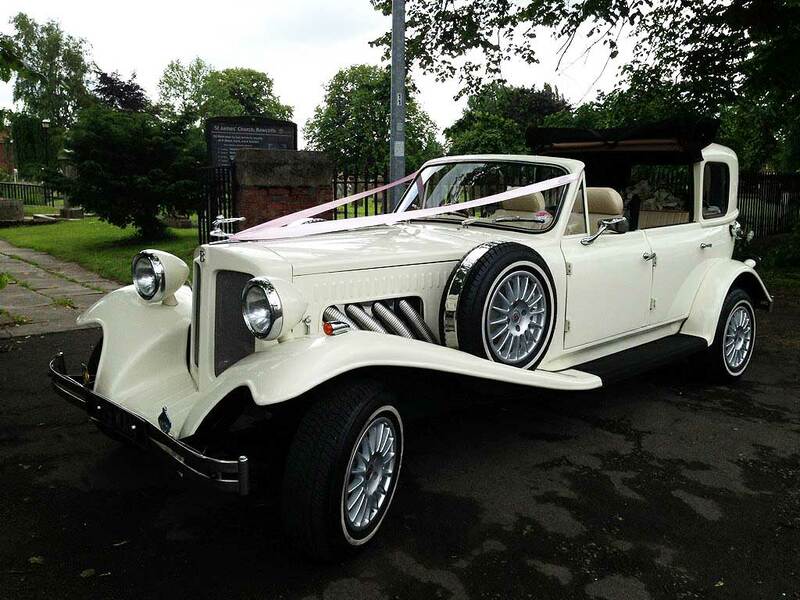 The Landau top can be opened or closed catering perfectly for both your preferences and the unpredictable english weather…….. Being chauffeured in a Beauford, with everyones admiring gaze following as you pass, you simply cant help but feel like royalty!